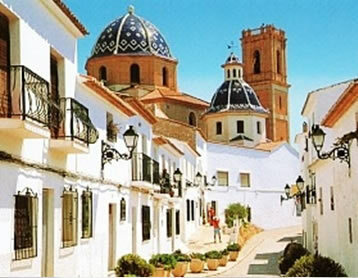 With its narrow, cobble-stone streets and whitewashed buildings, adorned by the instantly recognizable blue and white domed roofs of the church of Our Lady of Solace, Altea is often referred to as the jewel of the Costa Blanca. 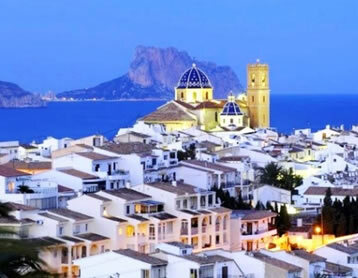 Altea is located on the north Costa Blanca, within 11 km to the south of Calpe, and 60 km to the north of the provincial capital of Alicante. 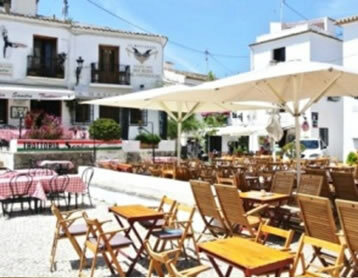 It sits between the Mediterranean Sea and the Sierra de Biérna, which results in the town enjoying a mild micro-climate. 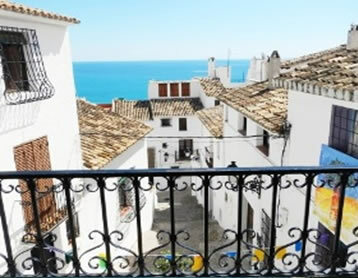 Due to its favorable climate; its 6 km of coastline, and its architectural charms, Altea began to grow as a holiday destination in the 1950’s, and the town expanded with the local economy changing from the fishing and agricultural industries to tourism and construction. In the past few decades Altea experienced a population boom, due to the increase in residential tourism, and since 2.000 the population of the town has grown from approx 15.600 to 24.500 inhabitants, with 35% of the population being of foreign origin, especially north Europeans. 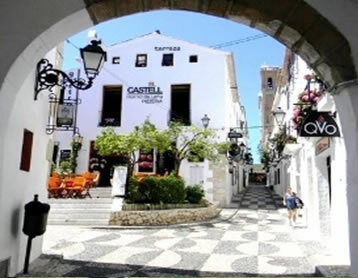 Apart from the inherent beauty and charms that Altea has to offer, the town has benefitted greatly from its good road communications (AP7 Autopista and N332 national road) which give easy access to other coastal towns and to Alicante airport. 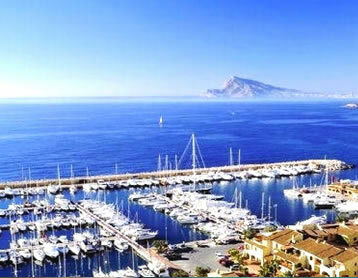 Other local developments have served to raise the profile of the town including the exclusive Altea Hills Resort and residential development; the Marina Greenwich leisure marina, inaugurated in 1997, providing 542 moorings, and the luxury Villa Gadea Spa Hotel, which was opened in 2005.